I have been obsessively stalking these loafers by Nicholas Kirkwood online for the last few weeks. 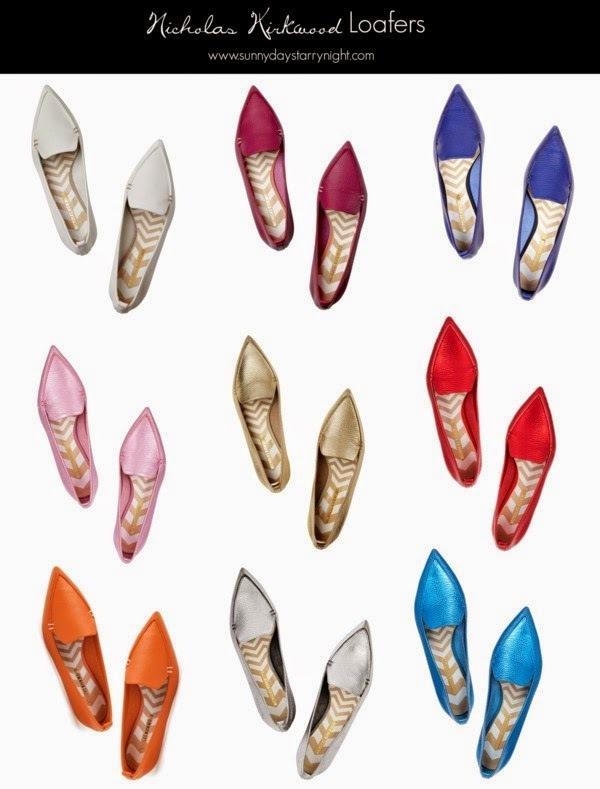 I love everything about them: the pointed toe, the beautiful colors, the pebbled leather, and the small metallic heel. I would love to own them in every color, particularly, the pink and red. They look effortless and comfortable but still glamorous, don't you think? Can I have them all!? Wow! Just fell in love with all of them!! There's a colour to suit everyone! I've been looking at similar styles. A change from heels and ballet flats. Drooling over these, must be hard to pick just one colour!